Following on from my article about The Force Unleashed series, The Force Unleashed 3 was planned and canned and today I want to find out as much about this cancelled Force Unleashed 3 game as I can. Let’s start with The Force Unleashed 2. The game was short and critics accused the game of being rushed. Negative reviews cited the game as a desperate cash grab, fan fiction and “one of the most underachieving games of 2010”. Its commercial response was equally underwhelming. Despite a promising opening week, less than four million copies sold in total, on all formats (including Wii and DS versions). This was not the response Lucas were looking for in the sequel to the fastest-selling Star Wars game of all time. But how could this have happened? During the year Force Unleashed II went into production, LucasArts had no less than three CEOs, each with a different approach to executive involvement. The year Force Unleashed 2 shipped, LucasArts had had three more. Haden Blackman, the director of the first game was helming the second, but announced his resignation before the game shipped. With growing studio involvement and a hellish production schedule, it’s not beyond the realms of possibility that Blackman foresaw LucasArts’ grim future and wanted out. About a month before the game shipped, LucasArts sacked some 85 employees from the Force Unleashed team and before the year was out had fired even more. By the time TFU2 had shipped, a third of all LucasArts employees had been fired. We know for a fact that a third Force Unleashed game was on the cards, but it seems likely that the internal pressures at LucasArts, ongoing staff upheaval and creativity-crushing development schedules contributed to Haden Blackman leaving LucasArts – and in turn – the third Force Unleashed game getting the can. We’ll never know for sure but this seems to be a sensible conclusion, given the facts. What could we have expected from The Force Unleashed 3? The Force Unleashed 2 ended with a cliffhanger so The Force Unleashed 3 would immediately resolve that end sequence. Sam Witwer, the voice of Starkiller commented on his Facebook that he and Blackman had discussed the story and that he was keen to do it. Blackman revealed that he would have like The Force Unleashed III to have been a more open-world, sandbox experience. No level-based gameplay, more of a massive physics playground. His vision of the story would have seen Starkiller and Darth Vader reluctantly team-up to fight a new threat from Emperor Palpatine. Introducing co-op play to the open-world concept, The Force Unleashed III would have been about two incredible Force users, adventuring through the Galaxy together, working together to stop the Emperor’s evil scheme to replace Vader. For those who think Starkiller’s story should have ended in The Force Unleashed 1; Blackman’s original ideas for The Force Unleashed 2 didn’t involve Starkiller at all; one of them centred around Yoda. A kind of “Yoda Unleashed”, the game would have explored Yoda’s past and probably featured him backflipping and slicing fools heads off. Another idea was set thousands of years in the Galactic past. One was a Western-inspired story about a Grey Jedi keeping low after Order 66, kinda like Unforgiven but in space and with wizards. None of these ideas made it into TFU2, because Blackman was given three weeks to write the story. Given that the game was allowed less than twelve months development time, the team pretty much had to use whatever assets they already had. Embracing the physics sandbox and introducing co-op play works for me. After jotting down a few story notes and assembling some concept art, Blackman left LucasArts forever. We don’t know what could have been and we likely never will. Due to the financial failure of TFU2, LucasArts canned all efforts at creating new Force Unleashed. Content. Allegedly even saying the name “Starkiller” was banned on Lucas property. In 2012, LucasArts was acquired by The Walt Disney Company and a little over six months later the studio closed, with all games development being cancelled and a further 150 staff members losing their jobs. The chance of a third game is slim. Disney most likely want to tell their own stories, and their resources seem to be focused on movies. The Force Unleashed could have been a hotbed of creative new ideas. Had LucasArts had the conviction to see past the quick wins, who knows what could have happened? 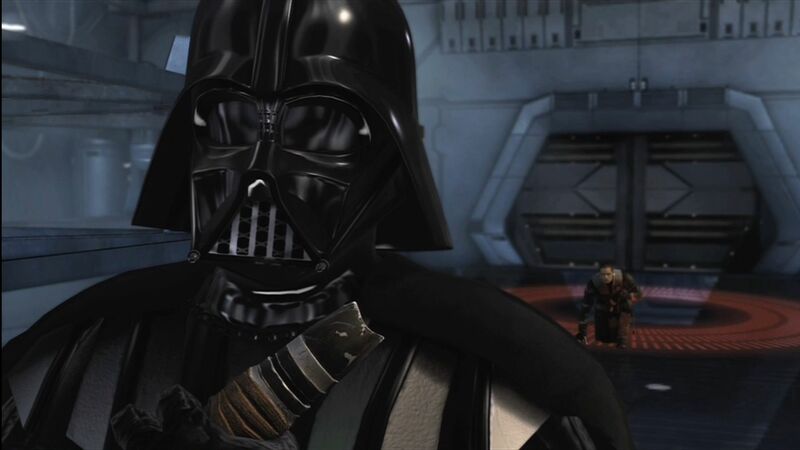 Would you have liked to see Starkiller and Vader team up in The Force Unleashed 3? Do you prefer the Jedi cowboy idea? Or are you happy to see the franchise gone? You can watch a video version of The Story of Star Wars The Force Unleased III on The Game Show YouTube channel.